A black and white negative of a profile portrait of Corbett (Corb) Stiner taken in front of Lakeside Motors on March 23, 1939 in Whitby, Ontario. 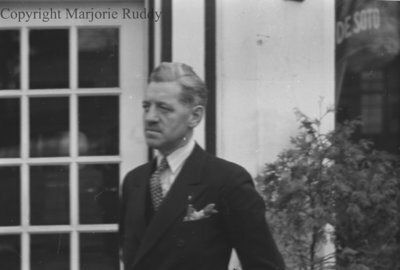 Corbett Stiner, March 23, 1939, Marjorie Ruddy. Whitby Archives A2013_040_870C.